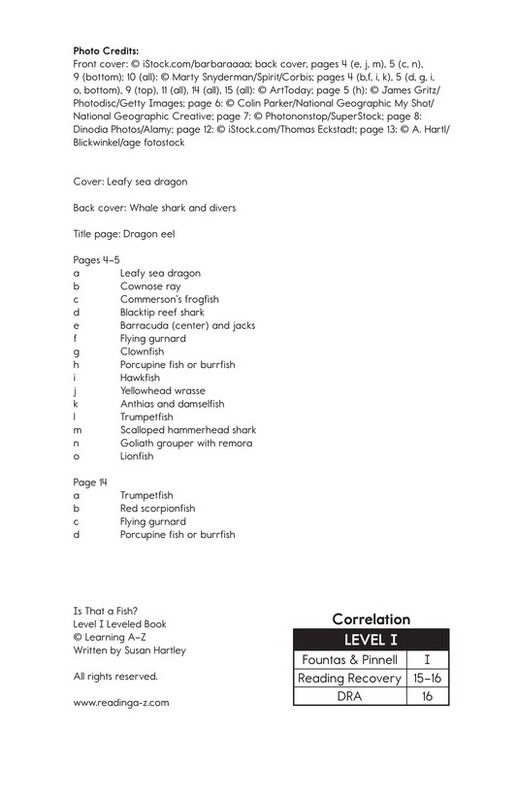 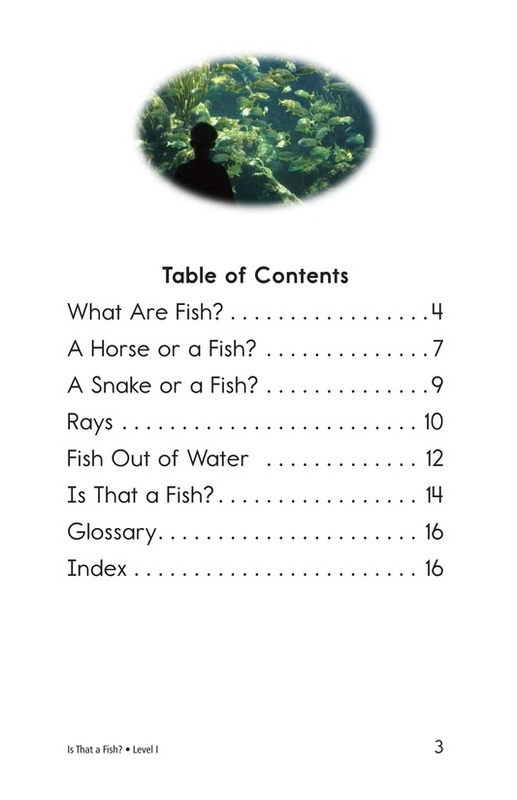 > Books > Leveled Books > Level I > Is That a Fish? 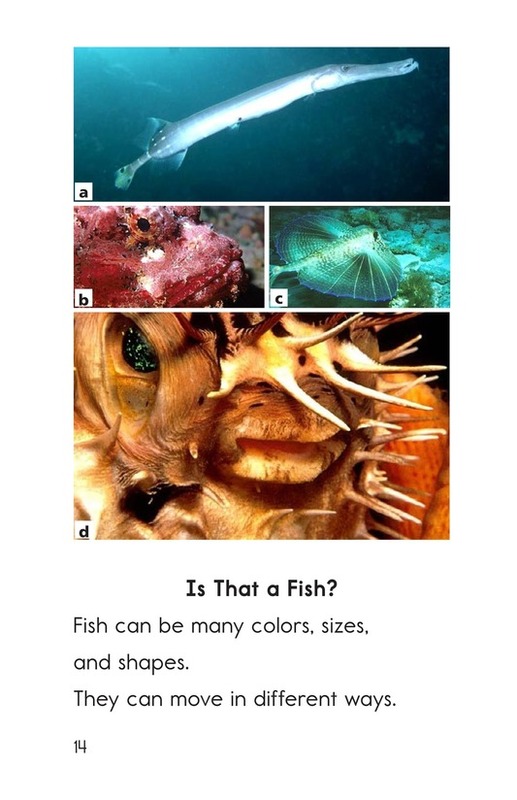 A fish with a nose like a cow? 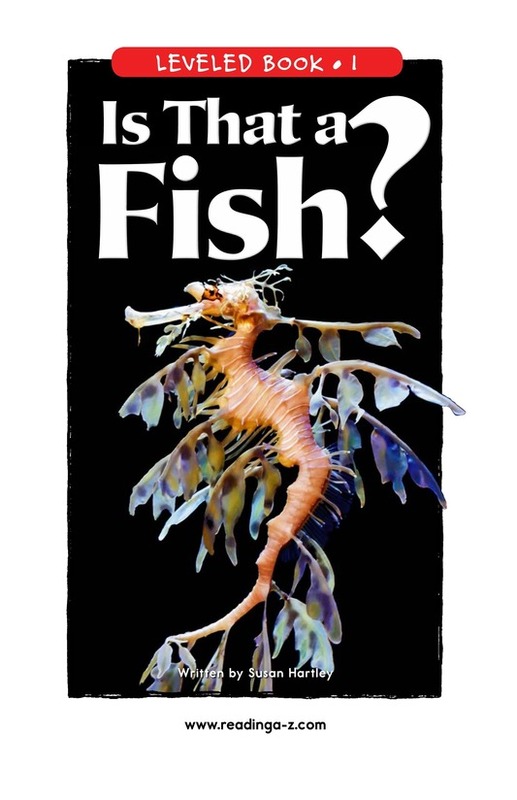 Or one with spines like a porcupine? 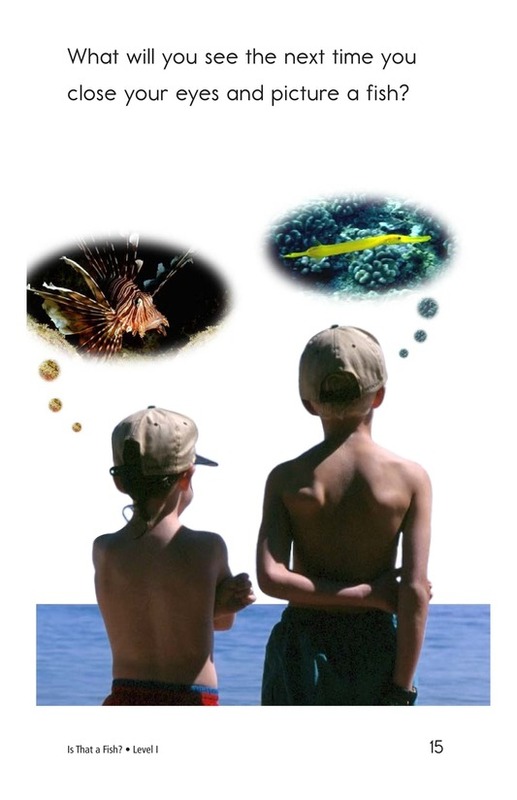 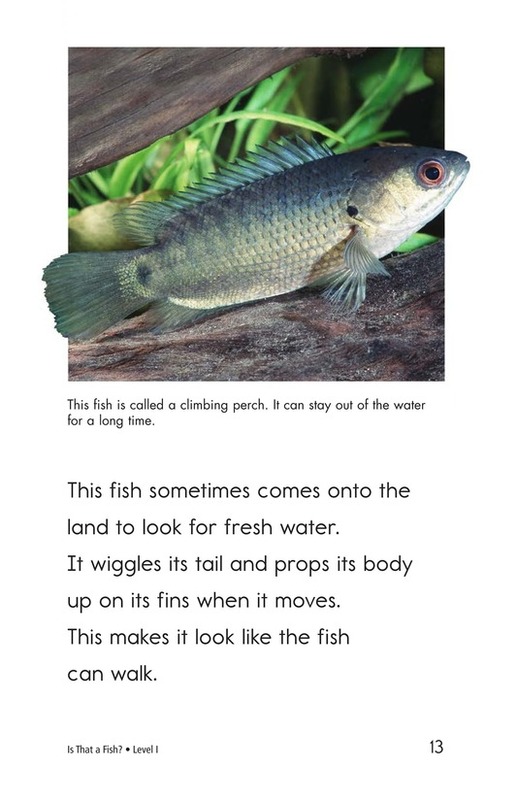 Students will be fascinated by the different-looking creatures that are all fish. 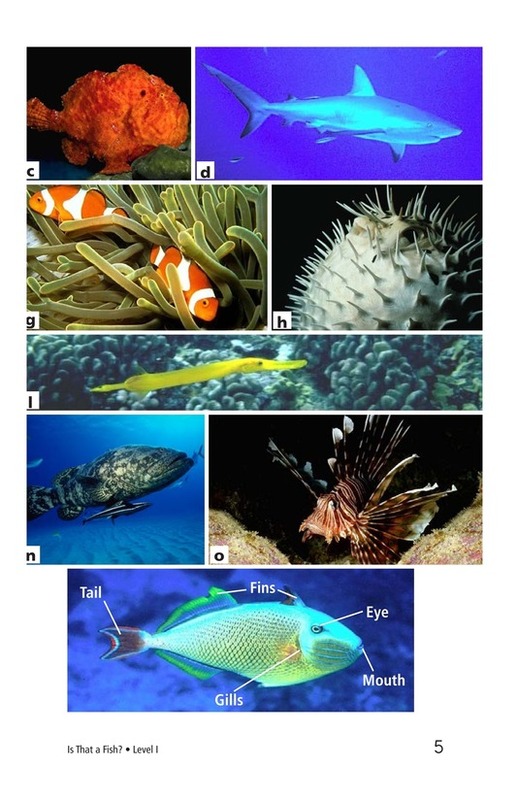 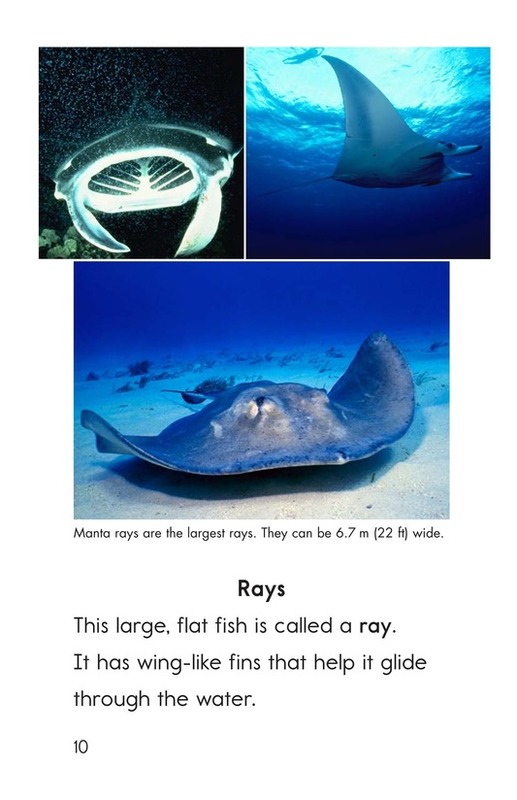 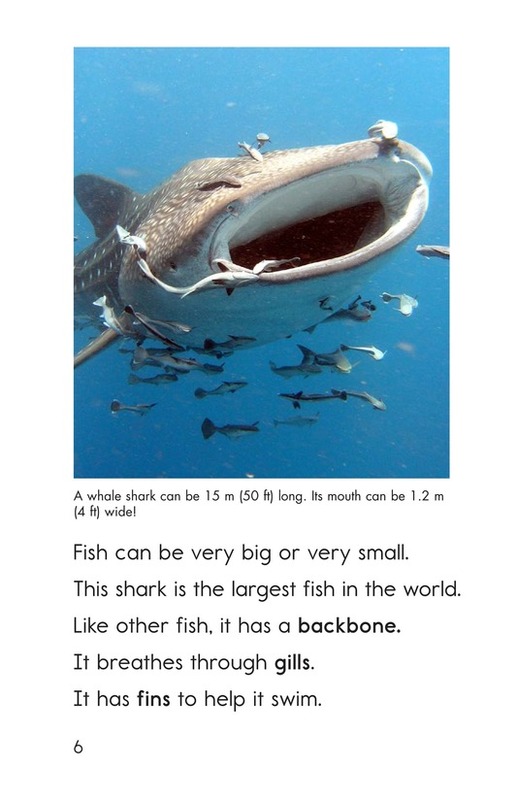 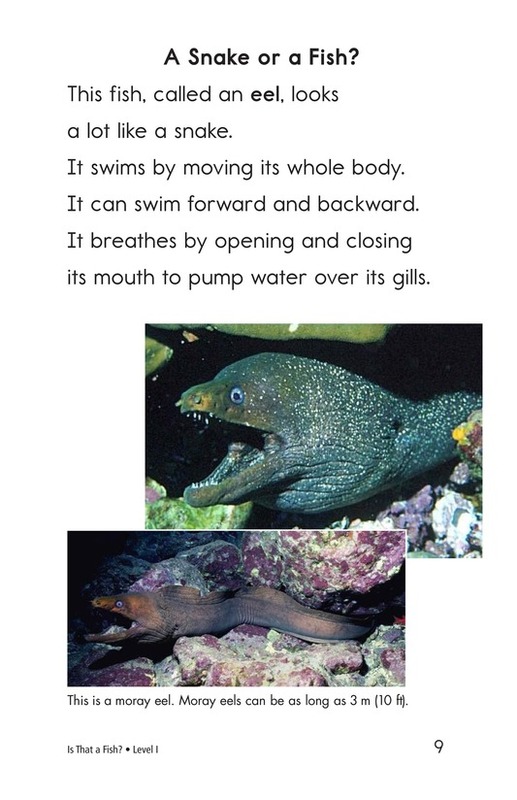 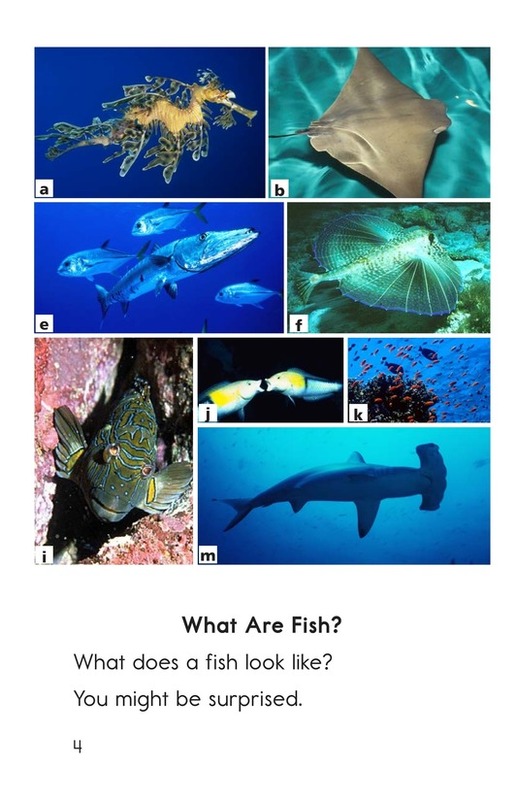 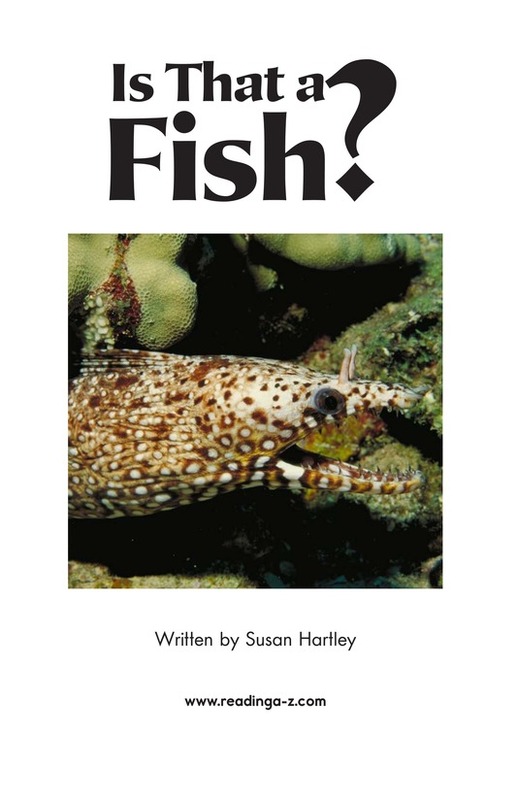 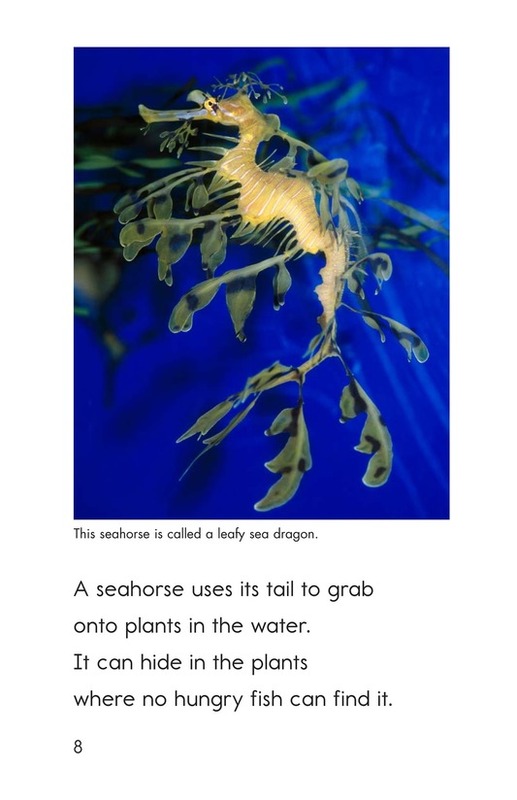 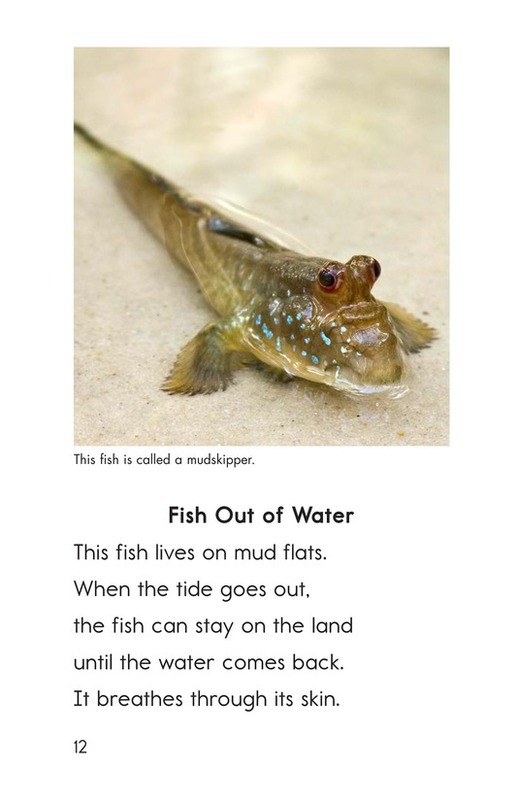 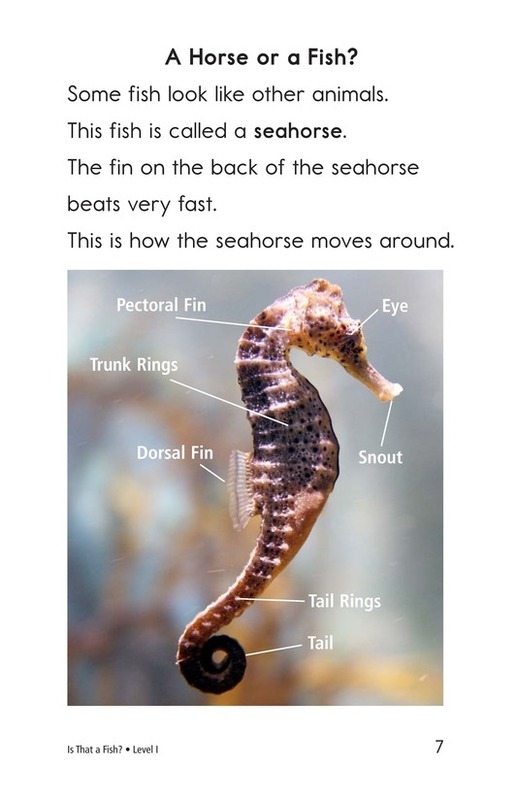 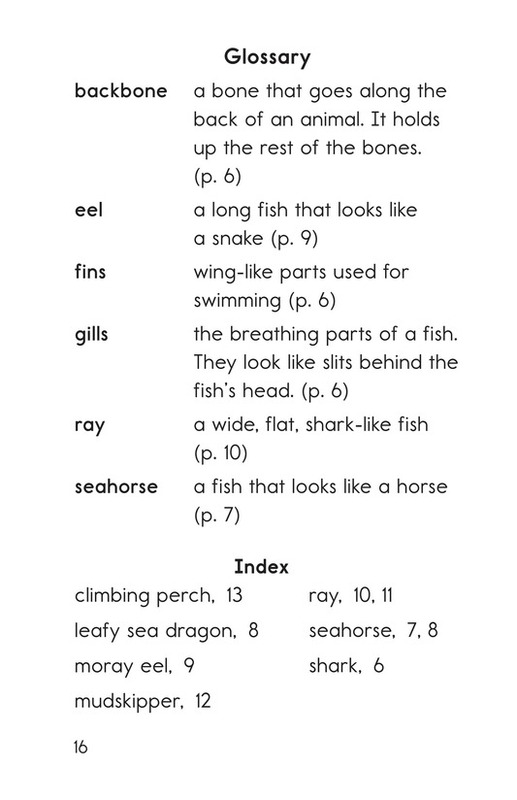 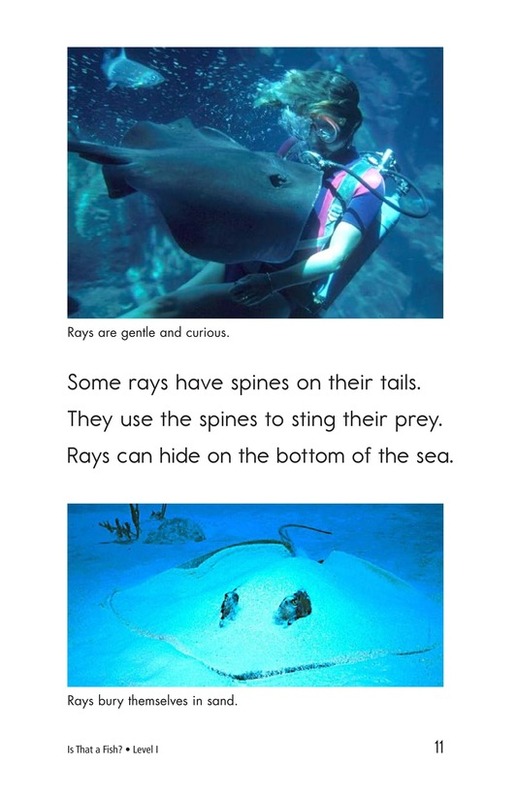 Captioned and labeled photographs support the text and offer readers an up-close look at over 25 types of fish.